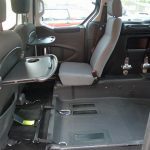 A wheelchair accessible vehicle with a low mileage! 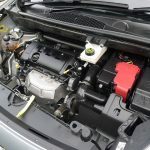 This 1.6 cc petrol engine with manual gearbox really does have plenty of power. 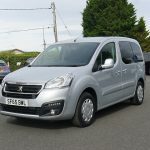 A lovely car to drive and with lots of lovely extras to make travelling around in this WAV a real treat. Check out the specification section included on this webpage for a full list. You will notice from the photographs we have included that the ramp has a bit more to it than usual. 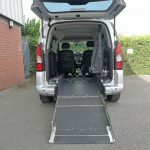 This ramp is not only very wide (32 inches – great for a larger wheelchair) but folds flat inside the car as well as upright. 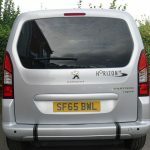 This creates a boot effect and useful if sometimes the wheelchair user is not on board as the rear view is more visible. 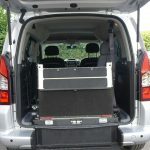 However, when the ramp is in the upright position, the top piece folds down also creating improved rear vision. 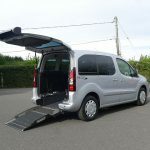 The conversion is by Allied Mobility and the vehicle adapted with a lowered floor, ramp access plus a winch (especially useful if you struggle to push a heavier wheelchair up any inclines and a must in some instances). 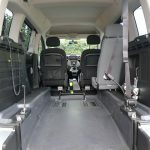 The wheelchair restraint and safety belt system ensure that the wheelchair user is always safe and securely fastened in before taking the car out and about. 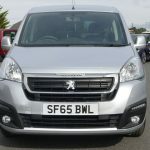 Once on board, the air conditioning will keep all occupants nice and cool on those warmer days and longer journeys. 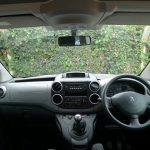 For added privacy too, this car has rear privacy windows if this is your preference. 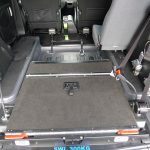 The front overhead shelf is a great place to store any items out of sight for added security plus, of course, ideal for keeping your car nice and tidy when driving – nothing worse than items rattling and rolling around when you are trying to enjoy the ride. 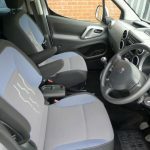 If you want to see just how easy these types of vehicles are to use, just check out the ‘Advice’ section above where you will find a video giving you a demo – great to see if you are new to WAVs. 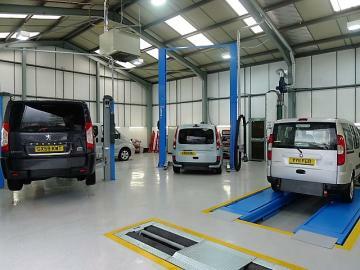 All of our quality cars come with 12 months MOT, 12 months warranty and are serviced/valeted in our modern Service Department. Give us a call if you need any help, advice or guidance on 01824 707773.